Document Notes: When the Postal Service proposed a stamp with an image of the Hiroshima bomb to commemorate the end of WW II the Japanese protested. 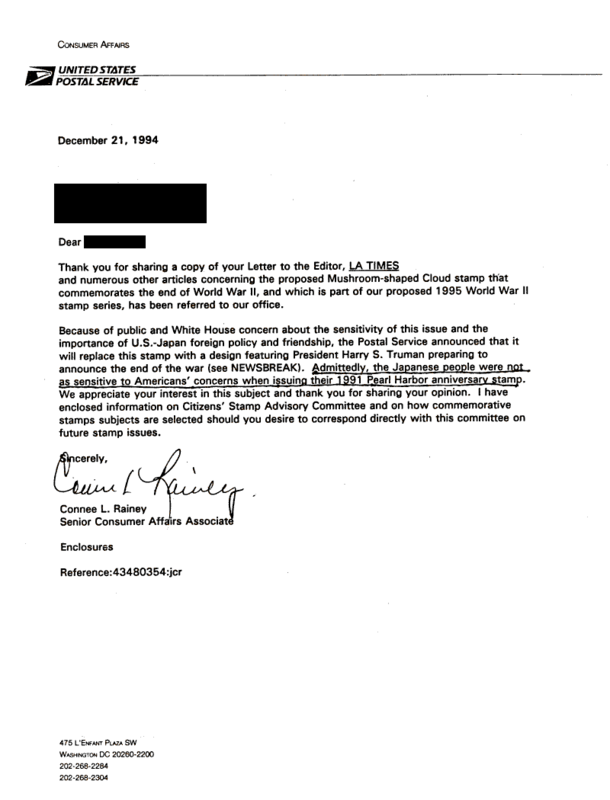 President Clinton ordered the stamp cancelled despite the fact that a few years before the Japanese had issued a stamp commemorating their attack on Pearl Harbor. This letter outlines the logic of that decision.